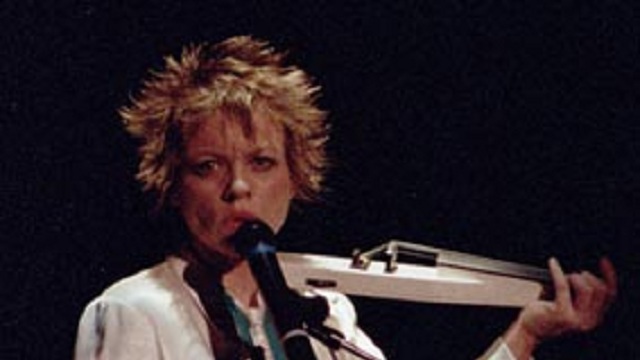 I first time heard Laurie Anderson’s mesmerising voice in early 1982 at Art Etc., the small but well stocked arts supply store attached to San Diego State University’s art department. What I heard was a single track recording titled ‘Let X=X’ which had been distributed on a 7” disc that came with the February issue of Art Forum magazine. The coolest art students worked at Art Etc. — April, Erin and Penny, led by the personable (and slightly older), Gillian. They sold the most current art stuff, had the best art gossip and played the newest sounds and, for a few weeks, all you heard was ‘Let X=X’. It soaked into my head — the clipped, synthesized words and electronic backing sounds — and I wanted more. I met this guy – and he looked like a he might have been a hat check clerk — at an ice rink. Which, in fact — he turned out to be. And I said: Oh boy. I was hooked. The sound and vocals were perfect for the time; smart, whimsical and weird. She (Anderson) was too cool, way clever. I was older, trying to be younger — voicing the words. The first time I saw Anderson live was four years later at the 1986 Adelaide Festival where she opened her Australian tour coinciding with the release of her fourth album, Home of the Brave. Her appearance was a triumph of style and substance: short cropped spikey hair, sloppy white suit, white electric violin — and that haunting voice and intriguing words. The show closed with ‘O Superman’, her big hit at the time. Anderson’s creative colleague and friend Spalding Gray also performed in Adelaide that memorable late-summer. Anderson had been one of a number of New York-based artists in the 1970s who tested the boundaries of what audiences would endure, and Gray had become emblematic of what was going on in NYC in the 1980s; a confluence of pop and art, accessibility and edge. Anderson later scored Gray’s films Swimming to Cambodia (1987) and Monster in a Box (1992). And then, almost half-a-life-time of art and pop hits and performance successes later, Anderson was back in Adelaide performing collaboratively with the Kronos Quartet at the 2013 festival. More recently Anderson’s multi-media film project Heart of a Dog played to acclaim at the 2015 Adelaide Film Festival and is being screened at the 2016 Sydney film Festival in June. Heart of a Dog begins with Anderson’s familiar heart-warming sounds accompanied by animated images of herself with her comforting, matter-of-fact voice-over: ‘This is my dream body, the one I use to walk around — in my dream. In this dream, I’m in a hospital bed, and it’s like a scene from a movie you’ve seen a million times . . .’ A signature of much of Anderson’s work is a breathless hesitation — between phrases — and words — like — this. It’s a deeply personal story, several interwoven stories, revolving around her rat terrier called Lolabelle. 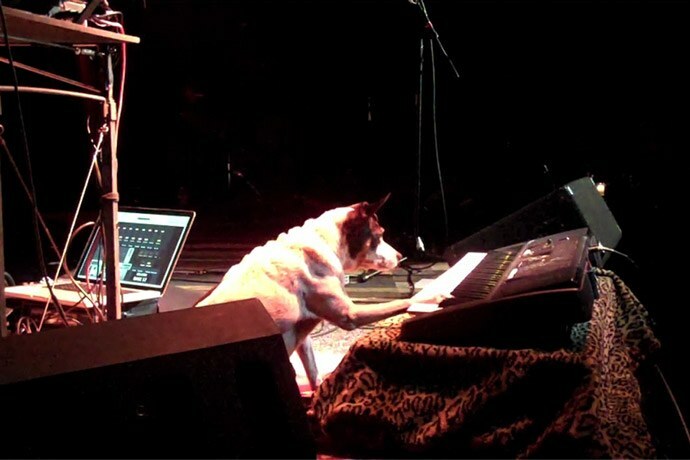 In old age the dog is blind but among other things, plays the piano, finger paints (a bit too cute), and, taking a break from the aftermath of September 11, 2001 Manhattan, romps in the Northern Californian mountains and on the beaches. The movie uses Anderson’s score, her drawings and animation, and she has taken much of the footage. The film’s focus is on life and living and death and dying; of Lolabelle, of Anderson’s father and mother, her artist friend, Gordon Matta Clark (1943–1978), and her husband Lou Reed (1942–2013). Love and loss weigh heavily in the images and with the sometimes ominous soundtrack. And the connection of love and death is always there: ‘The purpose of death is the release of love’, she says. The Buddhist Tibetan Book of the Dead is quoted at some length and fits snugly within the film’s context. A song written and performed by Lou Reed comes at the end of the film: ‘Turning Time Around’ (‘That’s what love is . . .’). Above all Heart of a Dog is a lovely, dreamy, haunting meditation — stories about stories — which, through its multi-layers of mostly familiar images and sounds, flow over and around you. Listen, uh — I just want to say thanks. So — thanks . . .
Oh yeah, P.S. 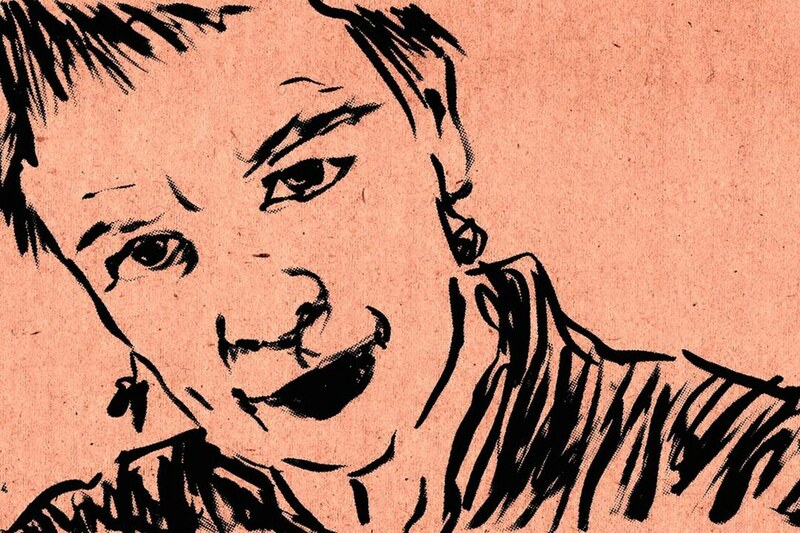 I — I feel — feel like — I am — in a burning building — and I gotta go . .
[Heart of a Dog (2015, 75 mins) directed by Laurie Anderson, screened at the 2016 Sydney Film Festival, 13 and 19 June. It also screened at the Queensland Film Festival, 23 July; and the Melbourne Film Festival, 3 and 7 August 2016.